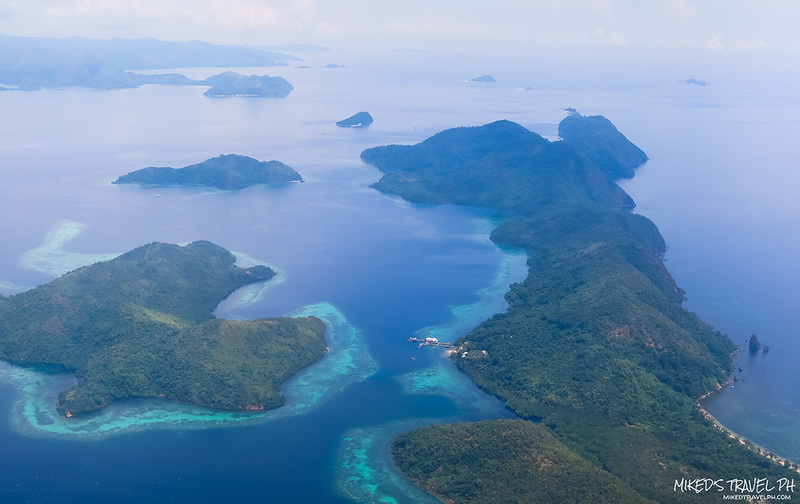 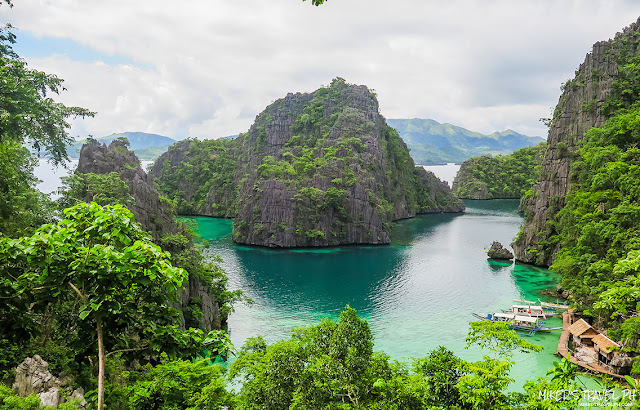 Palawan is named as the most beautiful island in the world by a travel website. One proof of that is the island of Coron in Calamian Group of Islands. 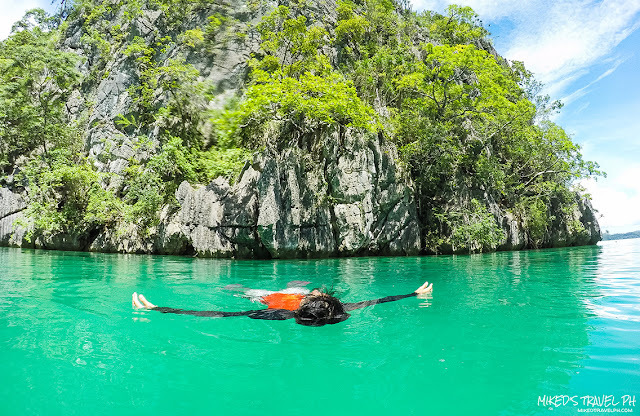 Let me share with you some of the places in Coron that made Palawan dubbed as the most beautiful island in the world. 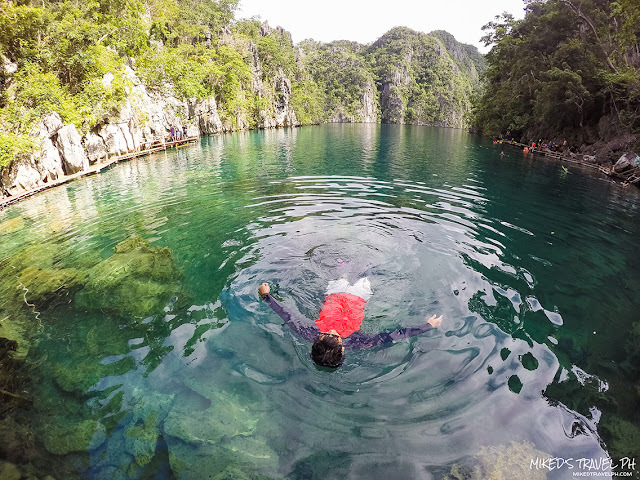 Coron is accessible by air and land or sea travel. The nearest airport to the town of Coron is at Busuanga, around 20 KM from Coron town proper. 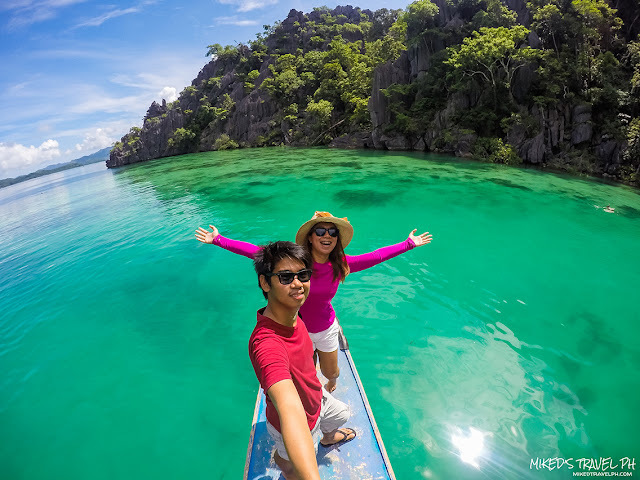 Coron has a sea port that serves ships from Manila and other provinces in Visayas and Mindanao. 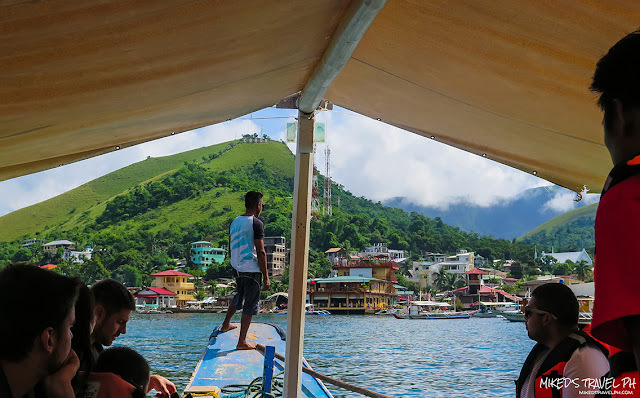 The most convenient way of touring around the island of Coron is by booking a tour in some tour providers you can check online or at the town itself. Included in the package tour we avail is the Coron Island Tour (also known Tour A). 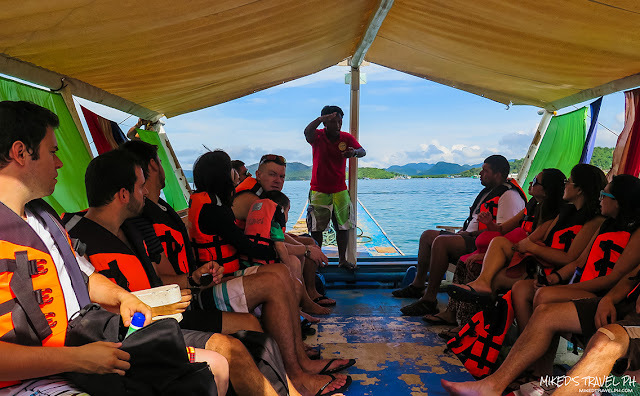 It is a whole day tour with 6 destinations which are, Kayangan Lake, Sunset Beach, CYC Beach, Las Islas de Coral, Green Lagoon and Siete Pecados. 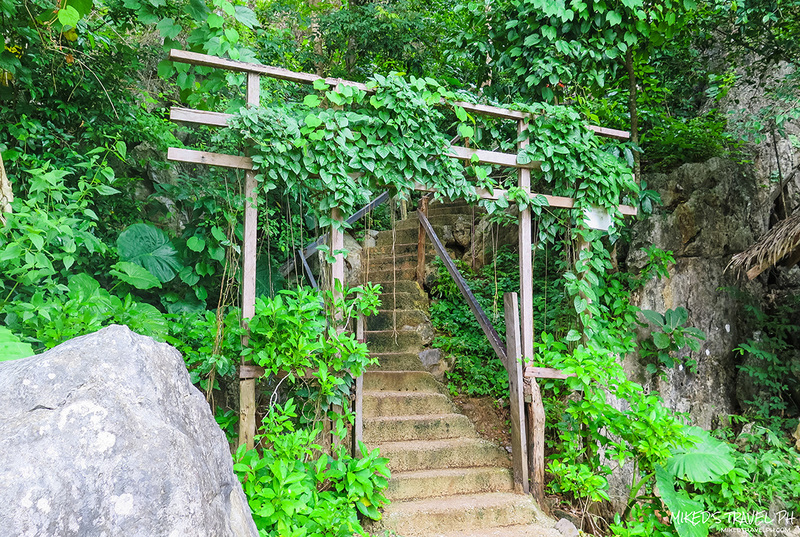 The tour operator will be arranging everything, including the entrance fees and meals. 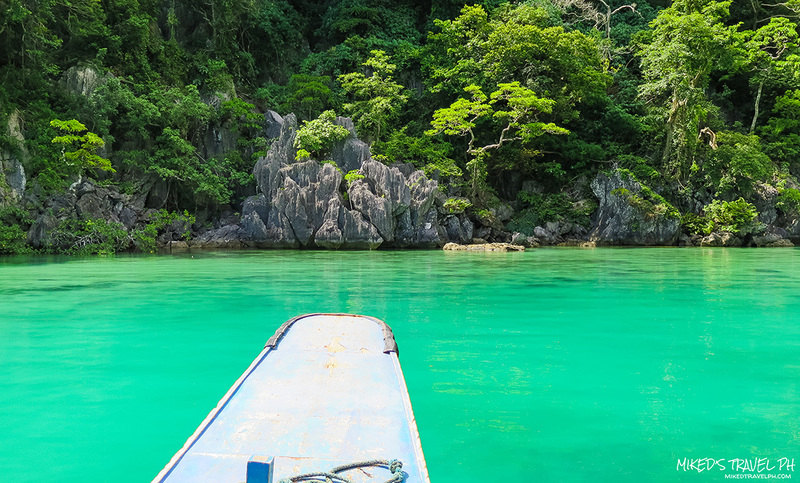 Coron island is around 20 to 30-minute boat ride from the tourist port in Coron. 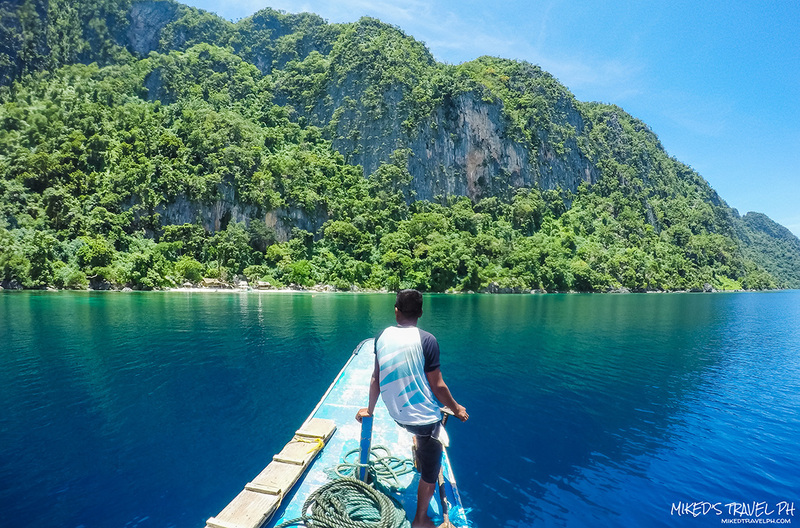 We left the tourist port around 8:30 in the morning and went to our first tour destination, Green Lagoon. You can obviously see why its name is Green Lagoon. This beautiful lagoon is surrounded by limestone cliffs covered with trees. 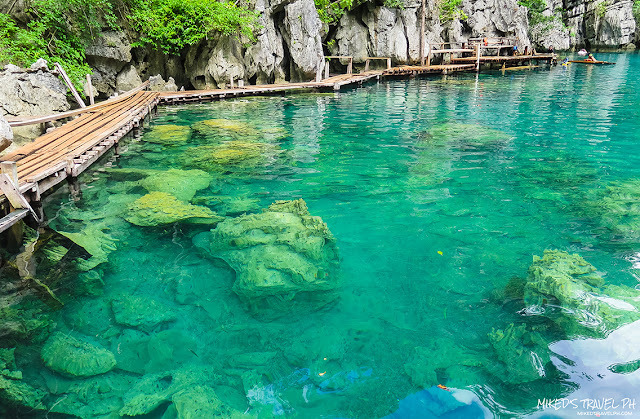 There's not much marine life in the lagoon, but it's perfect for swimming! 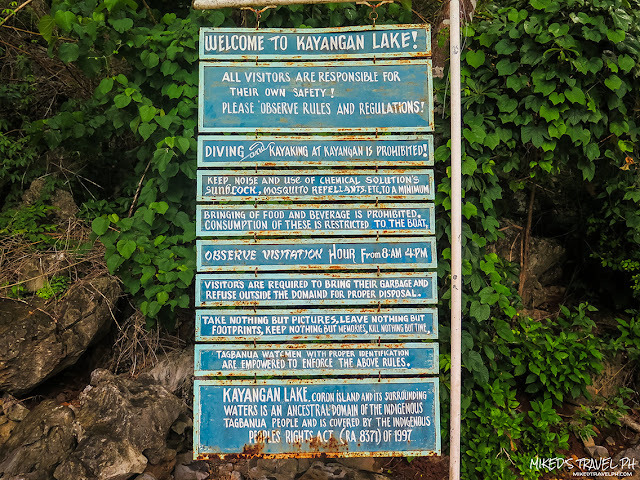 After some picture taking and a little swimming in Green Lagoon, we proceed with our next destination. 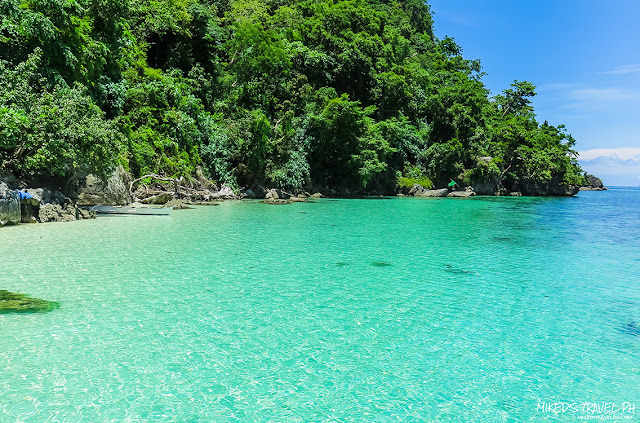 CYC beach or Coron Youth Club beach is a public beach island that is separated from Coron Island. 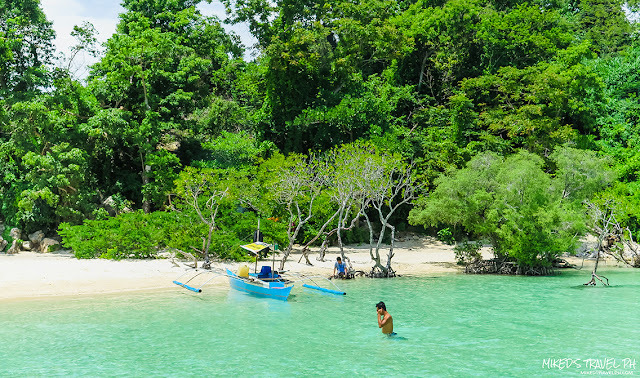 Many locals visit this beach to hang out here. The beach has a fine white sand and has mangroves at the side of it. 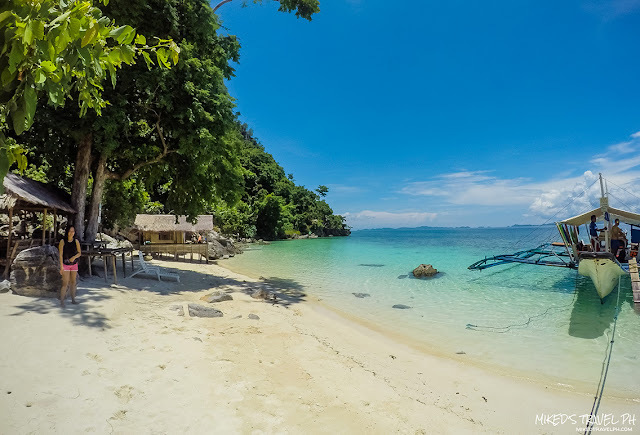 Since it is a public beach, entrance fee here is free. 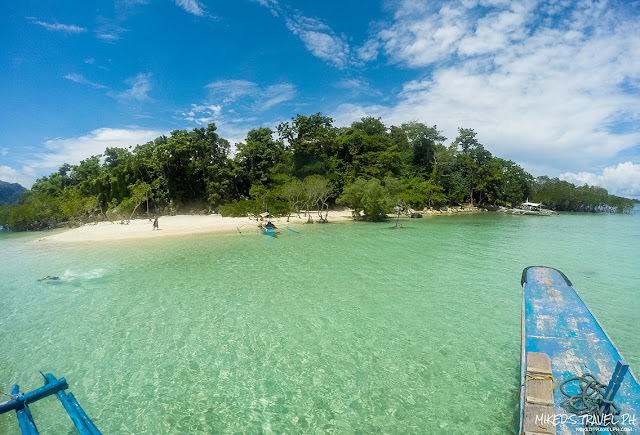 You can also spend the night camping here! 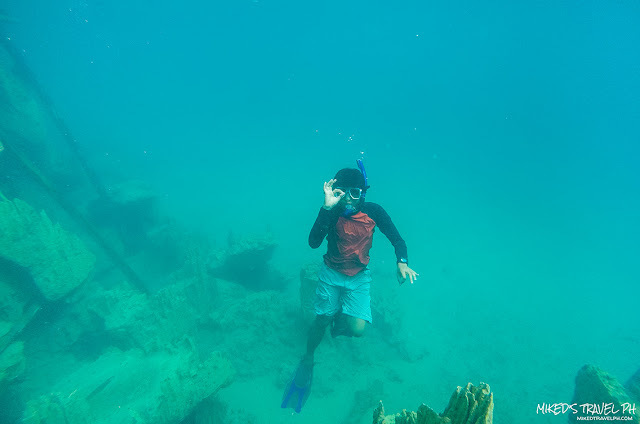 Just a little swim from CYC Beach and you'll reach Las Islas de Coral where you can do some snorkeling. When swimming to the snorkeling area, be cautious since there are many sea urchins scattered around the floor. 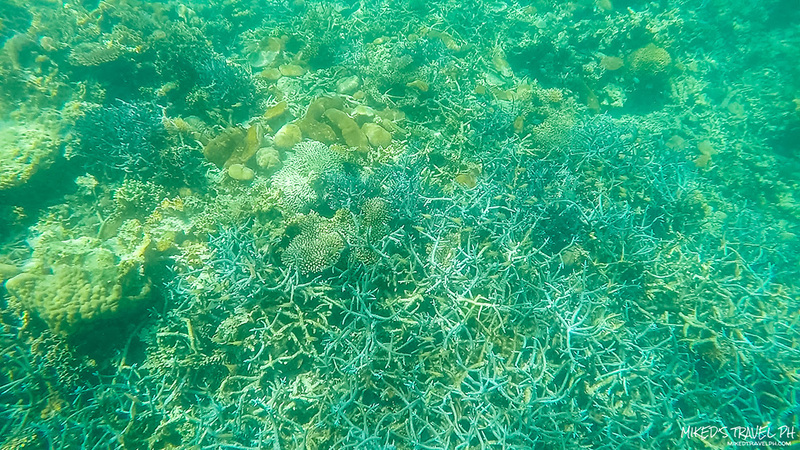 It's almost lunchtime when we finished snorkeling at Las Islas de Coral. 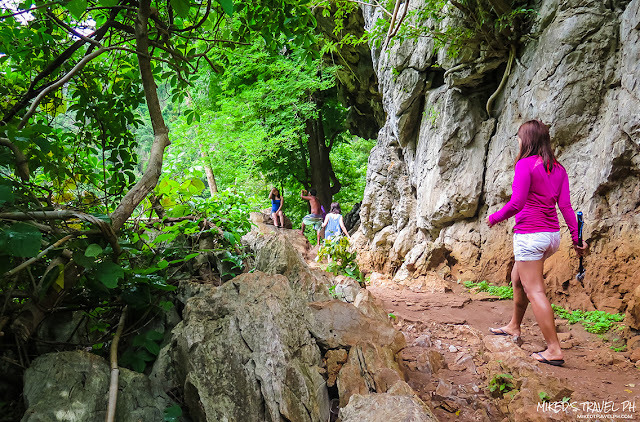 Good thing our next destination is where we will be having our lunch, that is already included in our tour package. So, we went back to Coron Island to go to Sunset Beach. It's named sunset beach because, you guessed it, the view of the sunset. 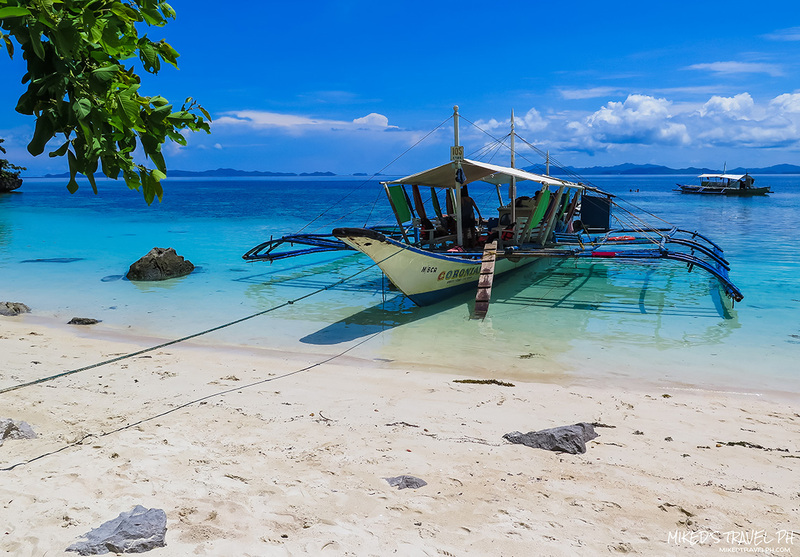 There are also other nearby beaches like Banol, Atuayan, and Smith's point where you can have your lunch. 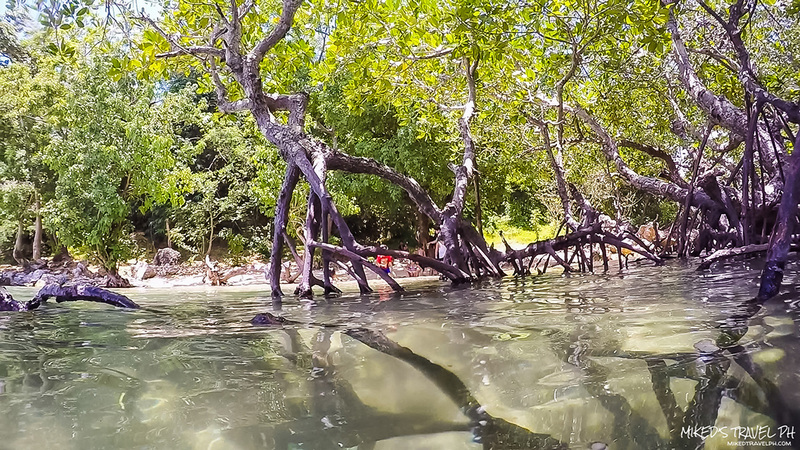 A beautiful beach, a delicious meal cooked by our tourguides, and the company of other traveler equals a good lunch! 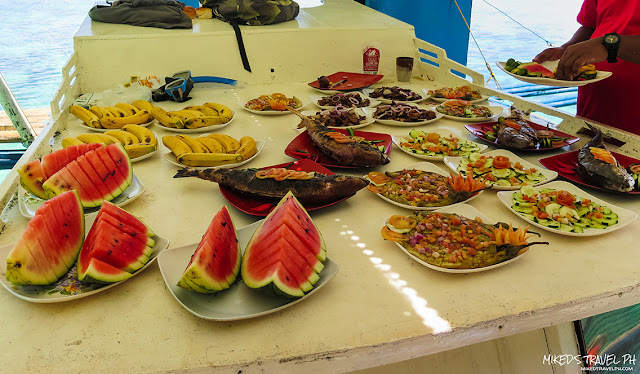 Our delicious meal, prepared by our tourguides! 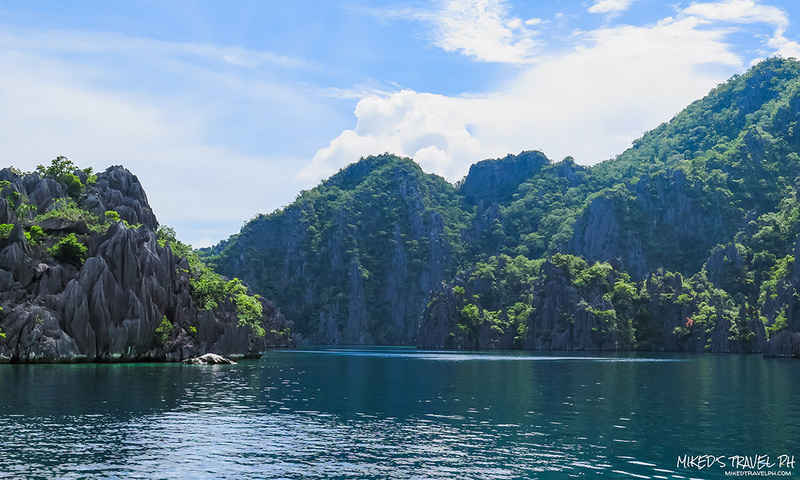 Our next destination is one of the two lakes (there is a total of 8 lakes) in Coron Island that is open to the public. This is my favorite destination on the tour. 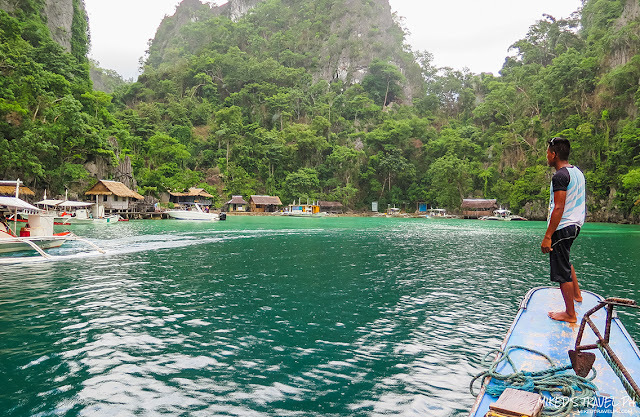 From the docking area of the boat, we walked to the stairs going up to a vantage point where you can see a breathtaking view of a lagoon, surrounded by limestone cliffs. It's a familiar view you'll see in some postcards of Coron, as well as some images on the internet when you google photos of Coron. I was stunned for a moment when we reached the lake. 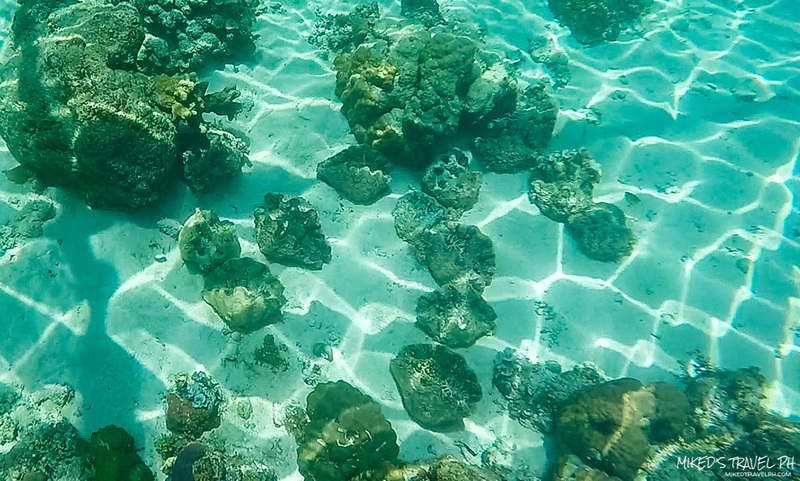 The water is so clear, the place is so beautiful it is just amazing. 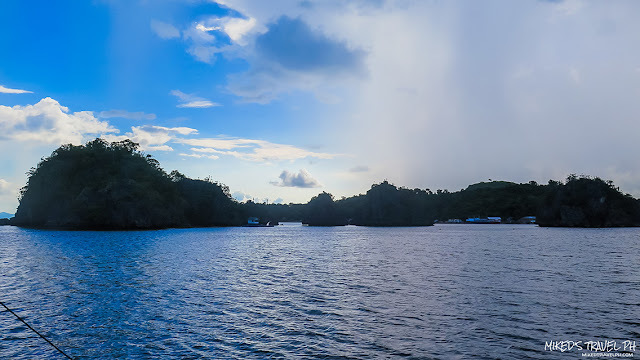 The water here in the lake is brackish, 70 percent freshwater and 30 percent saltwater. 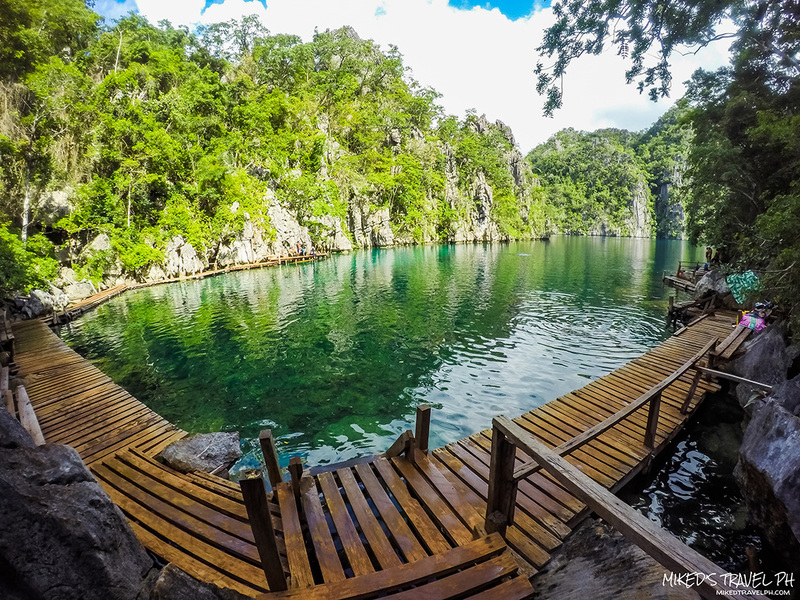 Kayangan Lake is also dubbed as one the 'cleanest lake' in the country. Last but not the least on our tour is a protected marine park off the coast of Coron Town. The literal meaning of the name Siete Pecados is "Seven Sins". 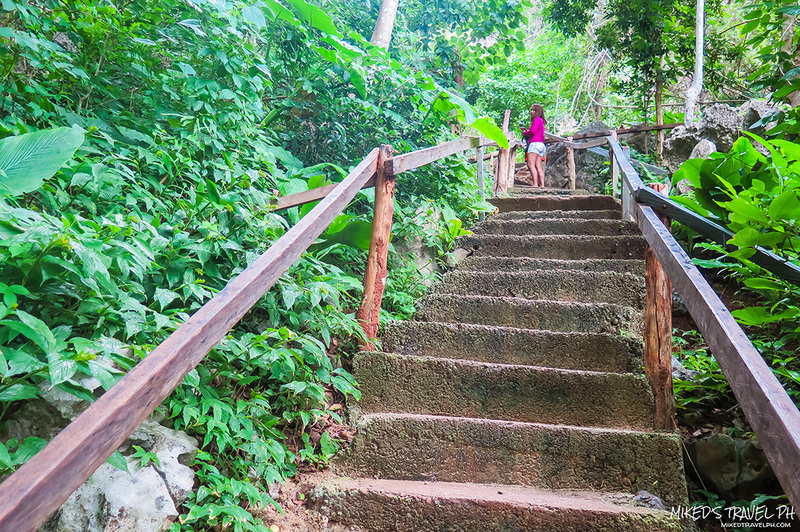 Why Seven Sins? 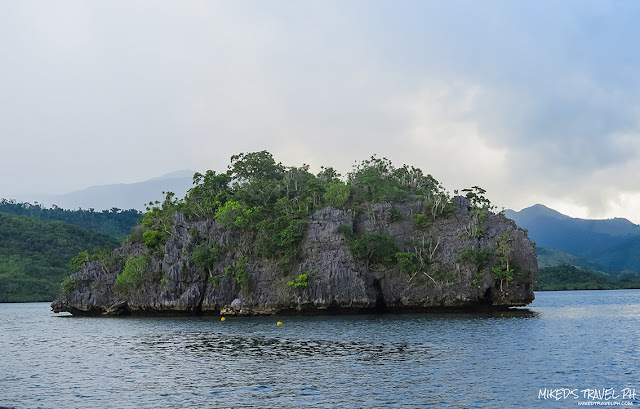 There's a legend that 7 sisters went here for a swim against their mother's will and all of them drowned and after that, the seven islets appeared. The islets have a shallow reef, so the boats cannot go near and you have to swim to go near the reefs. 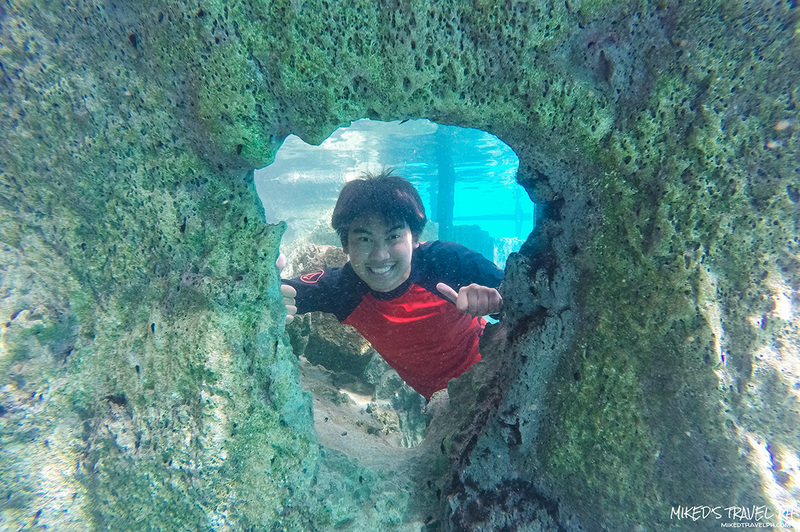 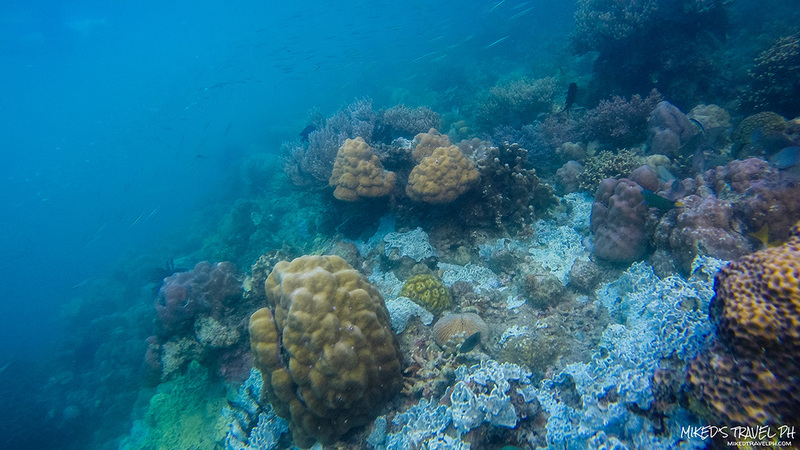 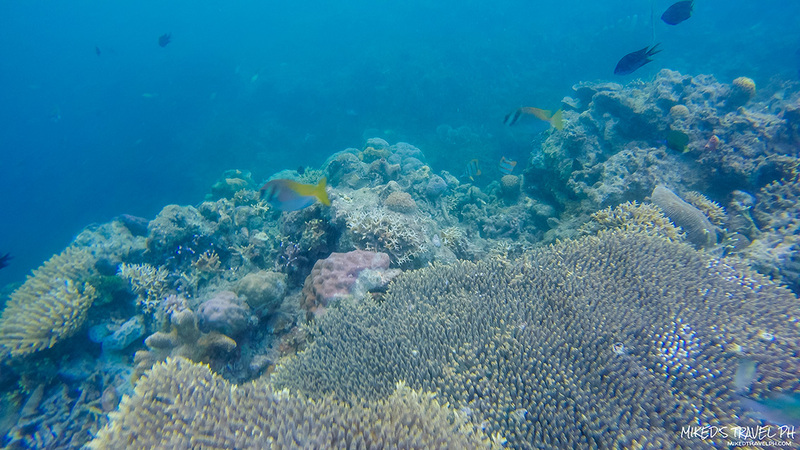 Upon reaching the reefs, you'll be welcomed by different kinds of fishes and beautiful coral reefs. 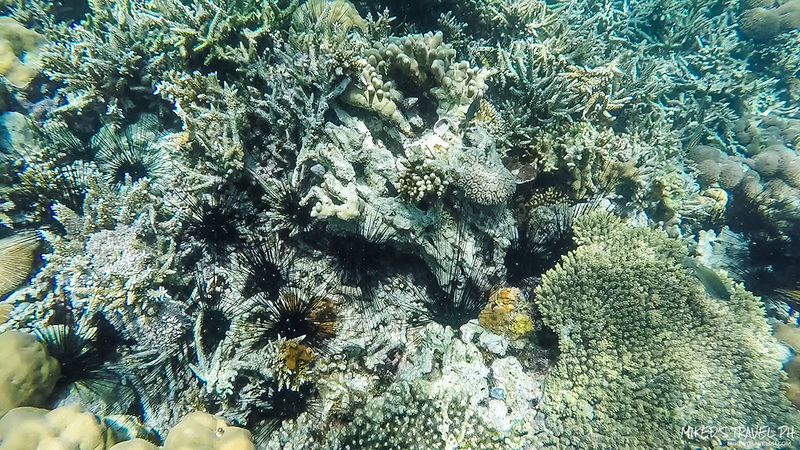 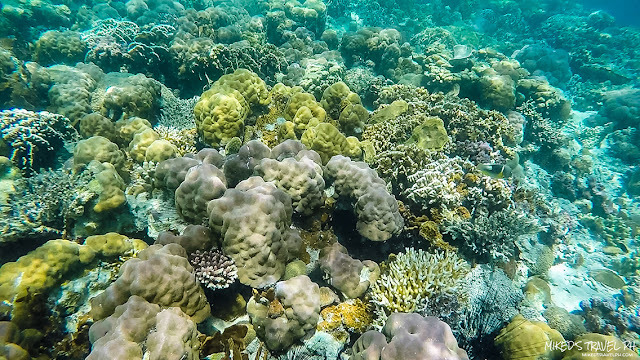 Just be reminded not to touch, stand or step in the corals for its protection and yours. A tourist reportedly died, when he got stung by a sea urchin in one of the corals here. In a day, I've seen some parts of Coron Island that make me want to come back again. I'm sure that you'll also fall in love with the place when you visit it. 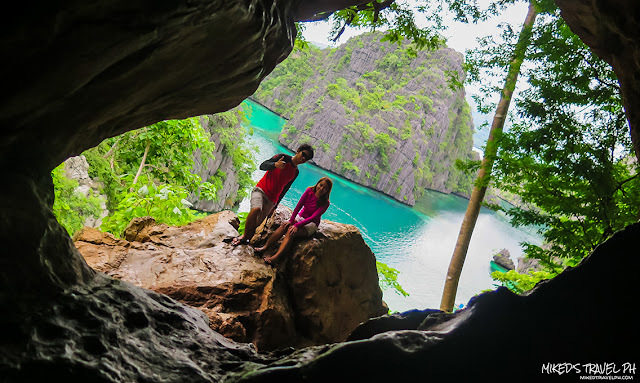 So, make Coron your next travel destination and see the how truly it is the most beautiful island in the world!